The Rebel Sweetheart. : Dreaming of Iceland | Things to Do in the Land of Fire and Ice. Dreaming of Iceland | Things to Do in the Land of Fire and Ice. At the height of my addiction to Super Junior, Big Bang, and several other K-pop groups, Korea was my dream destination. But now that I have fulfilled my dream of traveling to the land of K-pop and skincare, visiting at least twice a year thus making this country almost like my second home, I have been eyeing another country, a new dream destination - with hopes of traveling to and exploring the sights the way I did with Korea. These days, I have been dreaming of Iceland, with its majestic, unspoiled landscapes and stunning natural attractions. A Nordic island country located just below the Arctic Circle, Iceland has been dubbed as an environmental paradox with its smorgasbord of volcanoes blanketed in ice and snow. It's one of the few places on Earth where you can see glaciers and volcanoes in one place at one time, and where the phenomenon of subglacial eruptions (volcanoes erupting under ice) actually takes place. This contradiction of sorts is one of the many reasons why this country made it to the top of my travel bucket list. 1. Bask under the Northern Lights. Also known as the Aurora borealis, the Northern Lights is a natural phenomenon that paints the horizon with dazzling colors. It's like watching a ballet of lights dancing across the sky, with a color palette reminiscent of Sailor Moon's transformation. 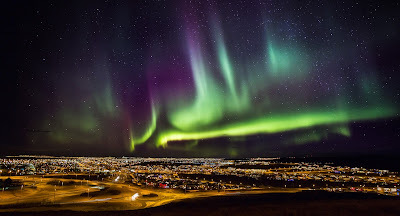 A result of the collision between gaseous particles in the Earth's atmosphere and the charged particles from the sun's atmosphere, the Northern Lights is a stunning celestial show that's best viewed during the winter season when the nights are longer and relatively darker. They're rather elusive and unpredictable, so there's no guarantee that you'll be able to see them during your stay in Iceland. But if the odds are in my favor, or if luck is on my side, then I might just chance upon this marvelous sight. 2. Relax in a hot spring. Swimming in chlorine-treated pools isn't my cup of tea because my ever-so-sensitive skin tends to react negatively with the water. Hot springs, however, are a totally different story. 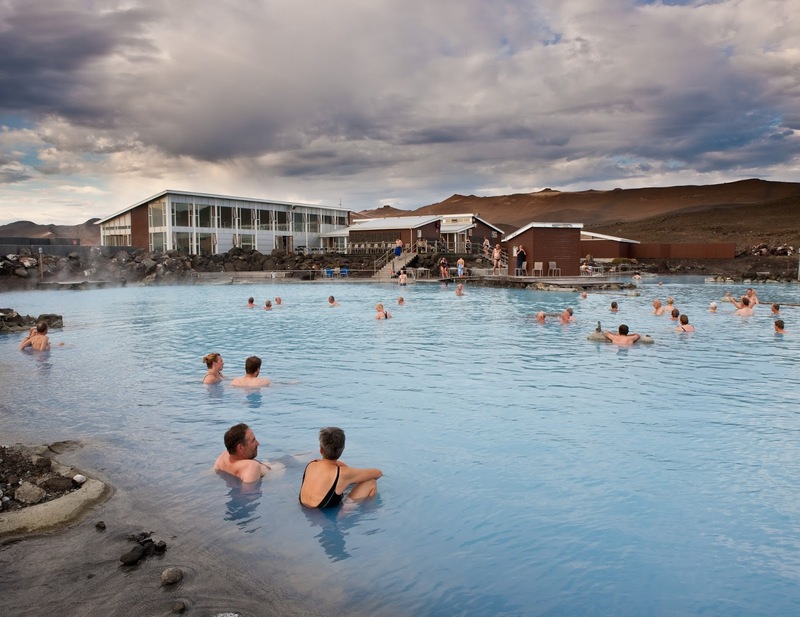 With its milky blue color and warm, soothing, temperature, the hot springs in Myvatn Nature Baths are perfect for relaxing the mind, body, and soul. They're also rich in alkaline and minerals which are good for even the most sensitive skin. 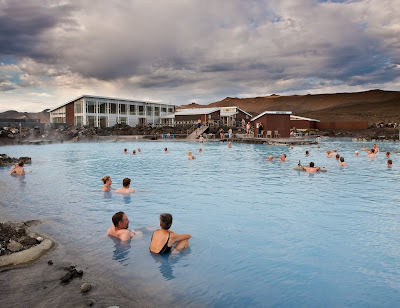 Some of the hot springs in Iceland also contain traces of sulfur, which can be beneficial for those with asthma (like me! ), sinusitis, and other respiratory problems. 3. Plunge into a volcano. Iceland is home to about a hundred or so volcanoes, thanks to its location on the Mid-Atlantic Ridge. About thirty of these volcanoes are quite active, with the last volcanic eruption occurring three years ago in the lava field of Holohraun. During this time, the area of Bárðarbunga, where the lava field is located, was closed to tourists and visitors. 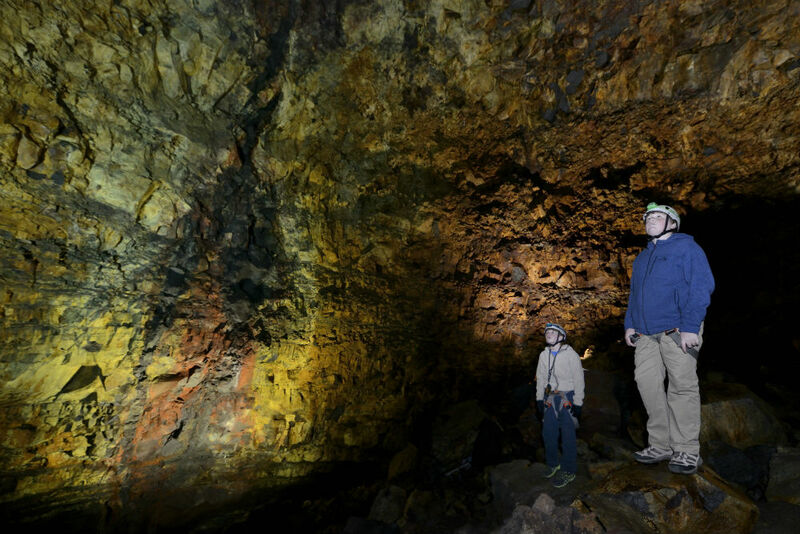 There is, however, one place in Iceland that allows visitors to see a volcano up close and personal. And by that, I mean you go inside the volcano, descend its crater, and make a journey towards the center of the earth. This place is called Bláfjöll, where the dormant Thrihnukagigur volcano is located. 4. Explore an ice cave. Living in a tropical country (where it feels like summer all year round) has made me want to visit and explore countries that have ice and snow and everything else that comes with the cold winter season. Iceland easily fits into this category, as the country is cold and chilly all throughout the year. 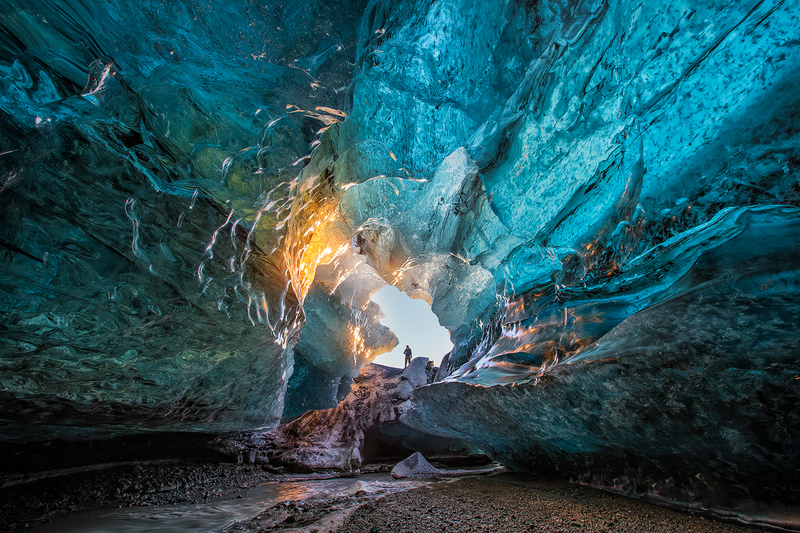 This makes ice cave tours a popular activity all year long, giving tourists and visitors an amazing opportunity to explore the wonders of the Vatnajökull glacier, Europe's largest ice cap. These guided tours usually include a ride in a massive Super Jeep, which is perfectly designed for riding through the steep and icy slopes of the glacier. Photo credit: Guide to Iceland. 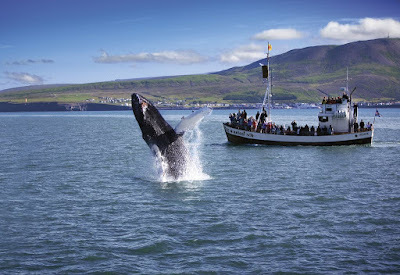 Located in the northern region of Iceland is Husavik, a beautiful fishing town which is extremely popular with tourists. Also known as the Whale Watching Capital of Iceland, Husavik is the place to visit if you want to see whales frolicking in the beautiful Skjálfandi bay. Over 20 species of whales live in this area, which includes the Humpback whale, the Northern bottlenose whale, and the Blue Whale - the largest animal on the planet. 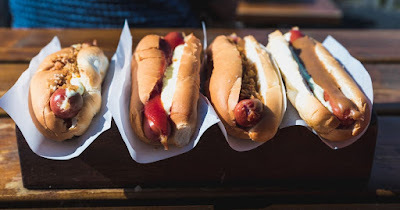 Icelandic hotdogs, they say, are the best in the world. 6. Eat like a Viking. Back in the days, a typical Viking meal would be comprised of sheep balls, sheep head, dried fish, or fermented skate. These days, a typical Icelandic diet would include lamb, skyr (an Icelandic cultured dairy product), vegetables, fish, and other seafood. Lots of seafood, to be exact, as the country is surrounded by Arctic waters teeming with cod, salmon, herring, monkfish, and lobsters. One of the more interesting eats in Iceland is the Hverabrauð, thick and chewy rye bread cooked by burying the pot near a hot spring and letting the geothermal heat bake the bread. This 'hot spring bread' is best paired with Plokkfiskur or fish stew, a simple mix of white fish, potatoes, onions, and bechamel sauce. Another popular meal that's a hit among tourists is the traditional Icelandic meat soup, a hearty dish made with lamb meat, potatoes, turnips, rice, and herbs. It's the ultimate comfort food, especially on a frigid, overcast day in the Land of Fire and Ice. Definitely on my list, want to visit the ice baths and see the northern lights. I have heard do many great things about iceland. Wow, I'd love to see the Northern Lights! The colors are amazing! I had no idea that you could go into a volcano in Iceland! That sounds absolutely amazing and much more unique then the blue lagoon. Iceland looks like a stunning place. I bet the Northern Lights are absolutely breathtaking to see in real life. I think it's really cool that you can visit a volcano too. I've been around Europe but I've never been to Iceland. I think it's about time I explored it and went to see that beautiful northern lights! Iceland looks nothing short of something out of a dream. I've always wanted to see the Northern Lights, and those ice caves look amazing.